OCEAN VIEWS from living room and front porch - gorgeous. This cozy beach cottage has a lot of light in sunny new monterey. Extra large eat-in kitchen, and two bedrooms with one bathroom in between. Enjoy ocean views and sailboats from the front porch day and night. 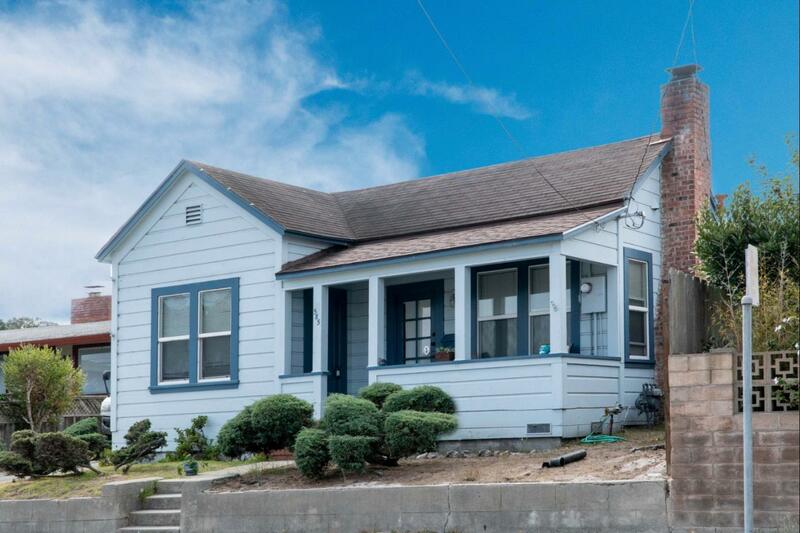 This adorable home with a large lot has so much to offer. The garage is detached and their is room to expand.